The fascinating, shocking, and ultimately quite hopeful story of one teen’s downward spiral into mental illness by the bestselling author of Tweak and son of David Sheff (author of Beautiful Boy, the memoir adapted into a movie of the same name starring Steve Carell and Timothée Chalamet). Miles is the ultimate unreliable narrator—a teen recovering from a schizophrenic breakdown who believes he is getting better . . . when in reality he is growing worse. 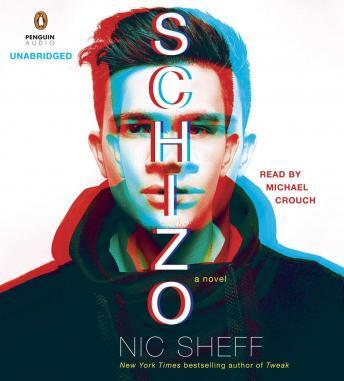 Written by Nic Sheff, son of David Sheff (author of Beautiful Boy, the memoir adapted into a movie of the same name starring Steve Carell and Timothée Chalamet), Schizo is the fascinating, and ultimately quite hopeful, story of one teen's downward spiral into mental illness as he chases the clues to a missing brother. Perfect for fans of Thirteen Reasons Why, The Perks of Being a Wallflower, and It’s Kind of a Funny Story.